Universal basic income: Definitely seductive, but is it fiscally feasible? 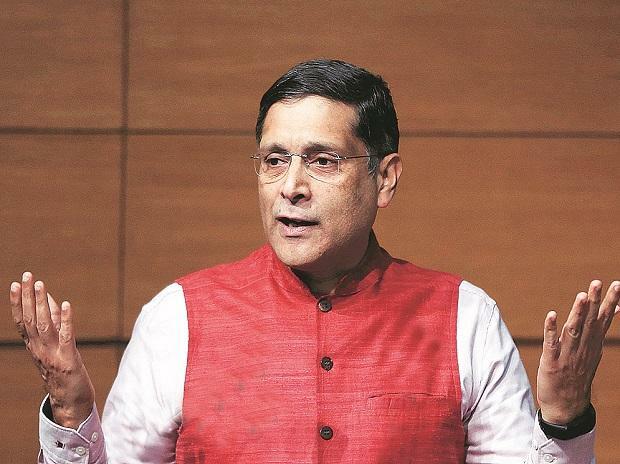 The Narendra Modi government’s new flagship scheme PM Kisan, as well as the Congress’ NYAY scheme do not meet the criterion of being good, targeted universal basic income (UBI) schemes, former Chief Economic Advisor Arvind Subramanian has said. In a series of tweets on Friday, Subramanian said schemes like NYAY (Nyuntam Aay Yojana), PM Kisan and Telangana government’s Rythu Bandhu are “problematic because they target a narrow beneficiary group”. “I am strongly for quasi-universal schemes that ‘exclude out’ a few rather than ‘target in’ many. Despite progress, our experience with ‘targeting in’ has been poor. Schemes such as NYAY, PM-KISAN or Rythubandhu that target a narrow beneficiary group are problematic,” Subramanian tweeted. “None of the current schemes or proposals meets what I consider necessary and desirable conditions for a good UBI or quasi-UBI,” he said. Subramanian has long been a champion of UBI and dedicated a chapter to it in his 2016-17 Economic Survey. The Congress’ data analytics chief Praveen Chakravarty has said that Subramanian advised on the party’s idea of minimum basic income guarantee proposal for the country’s poorest 20 per cent. Former Reserve Bank of India Governor Raghuram Rajan has said that he gave advice to the party on the matter. In his tweets, Subramanian repeated a point from the 2016-17 Economic Survey — that quasi-UBI schemes should be rural schemes. “Given the agrarian situation, I am in favour of starting these schemes in rural India with as wide coverage as possible, along the lines of — but even wider than — Odisha’s KALIA,” he said. “I am strongly of the view that any new schemes must not add to the fiscal deficit. Any credible new scheme should be clear, transparent and responsible about the financing,” Subramanian added. In an article for Business Standard in January, Subramanian argued that schemes like Fasal Bima Yojana and Minimum Support Price should be abolished as these were “demanding, duplicative, and dysfunctional”. He had said these should be abolished to finance a quasi-UBI, which would provide guaranteed income, irrespective of agricultural conditions. The Modi government’s PM Kisan scheme, announced in the 2019-20 interim Budget, promises a support of Rs 6,000 annually to small and marginal farmers. It has been allocated Rs 20,000 crore for 2018-19 and Rs 75,000 crore for 2019-20. In his tweets, Subramanian also said any new scheme must be implemented by the Centre and the states in a cooperative federalism setting. “This would allow for more ambitious and better-designed schemes, and create ‘skin in the game’ for all parties,” he elaborated. This approach is similar to that of the GST Council, where the Centre and states together take decisions on the nation-wide tax. Based on Subramanian’s previous pieces on UBI, this would also mean states and the Centre share costs of the programme.